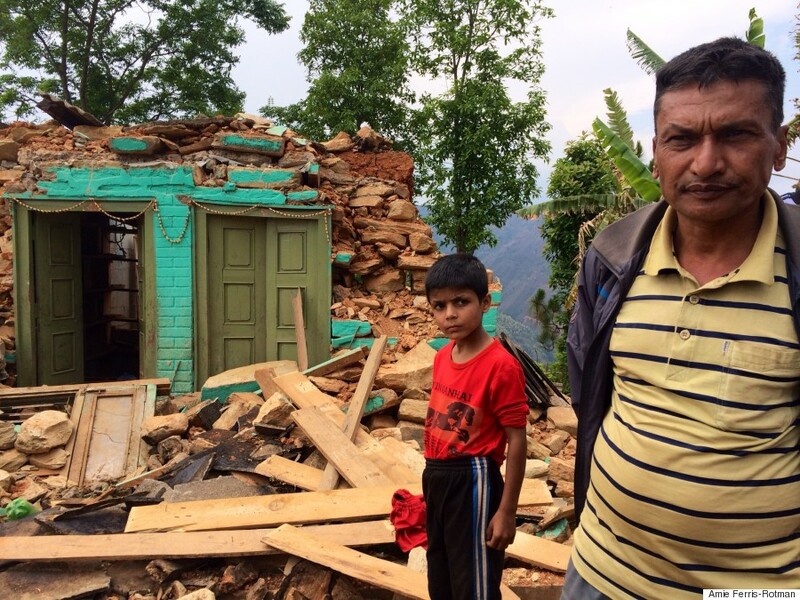 Shopkeeper Bidur Giri, 51, stands by the remains of his store, next to Sandesh Aryal, 10, in the village of Sangachowk. While the news from Baltimore is disturbing and sad, and seems to be the result of a serious problem our country is having with police and young black men, the news from Nepal is utterly devastating. Not that there is a need to grade the horrible, but really, Nepal has me reeling. When an impoverished area is hit hard, it feels such a smack in the face. Like Mother Nature is pissed, and just blowing off steam. I read the articles. I see the images of history destroyed, people’s lives in shambles. They roll over me like a rainstorm. What can I do? I know I can send money, and I will, but somehow it feels bigger than that. I’d like to let those people know I care. Would it matter? It would matter if they let me know they cared, if I lost everything. What is it that the average American can do besides send money? I would like to send love along with a check. I will carry those people in my heart. That’s the best I can think of. My cousin who once lived in Nepal believes Global Giving to be a quality fund to send money. Sending your love is free.